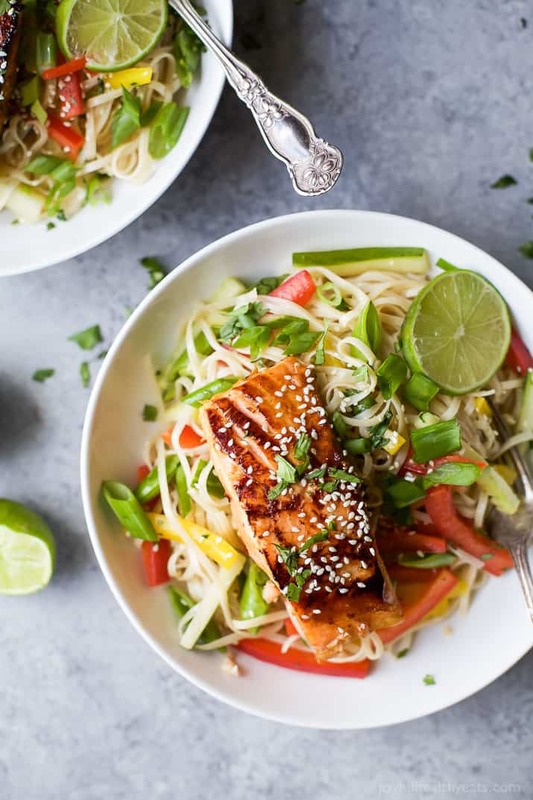 Teriyaki Salmon with Asian Noodle Salad, a perfect refreshing weekday meal for the family,. 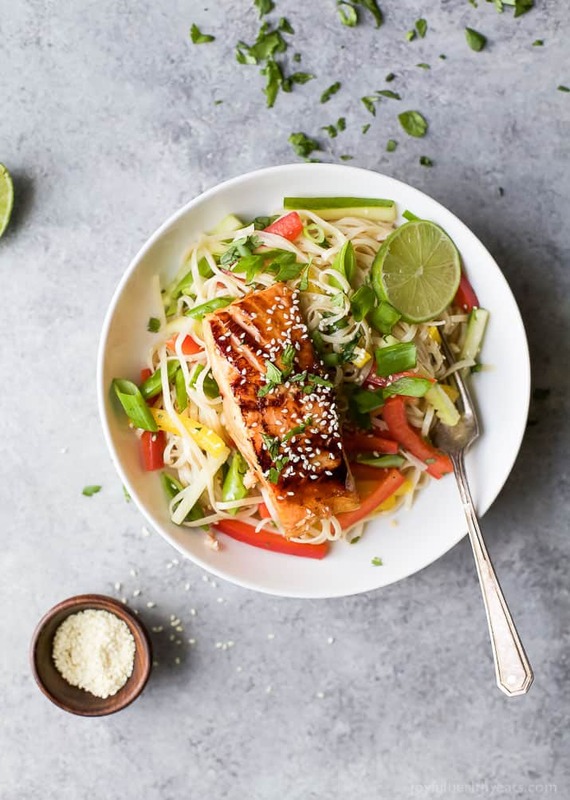 Easy Teriyaki Salmon served on a bed of Asian Noodles made with brown rice noodles, fresh veggies and a homemade Asian Sesame Dressing! 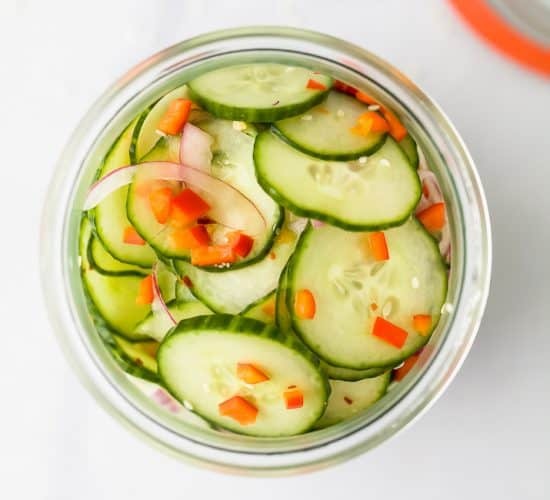 A light, simple refreshing recipe for the summer! So I kinda have a new obsession. Rice Noodles. They have officially become my new favorite noodle to eat when I’m making pasta. The texture still gives you a nice bite just like regular pasta. They are long enough to “slurp” and are gluten free! So no bloat feeling afterwards. Woohoo! Plus, they come in white rice or brown rice noodle options! 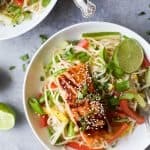 When creating this Teriyaki Salmon recipe I knew that I wanted to serve it on a bed of noodles. But not just any noodles. It is summer after all, so a cold asian noodle salad was going to do the trick! 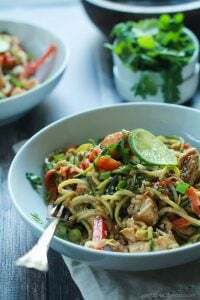 A couple months ago a created a Thai Chicken Zucchini Noodle Salad. It’s freakin awesome and super light a refreshing! All that say, I fell in love with dressing that I made for that salad so I decided to use it as the base for this asian noodle salad. Ya’ll. It is sweet, spicy, tangy, and all around delicious! 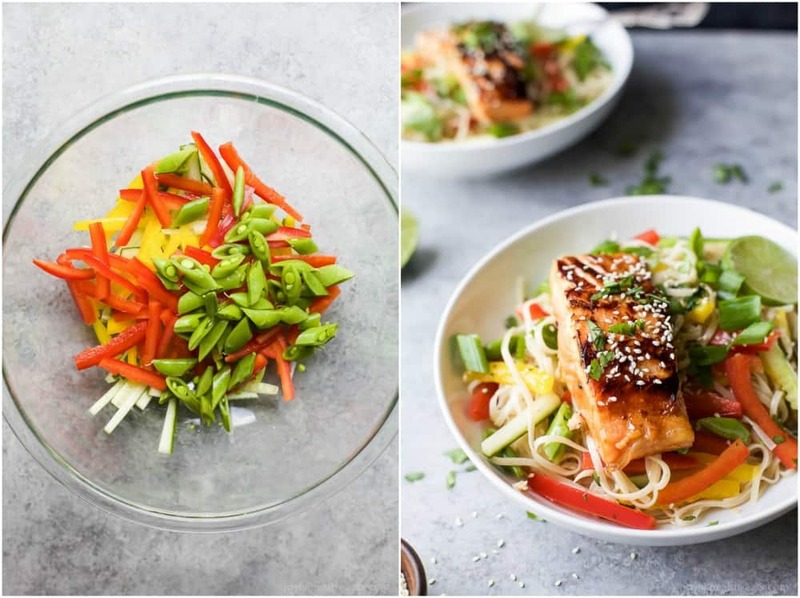 I served the salad cold because I like the contrast of the warm Teriyaki Salmon with the cold noodle salad. I’m all about adding intrigue to your food to make it pop in your mouth, so from different flavors to different temperatures your taste buds are gonna be on a journey the whole time. 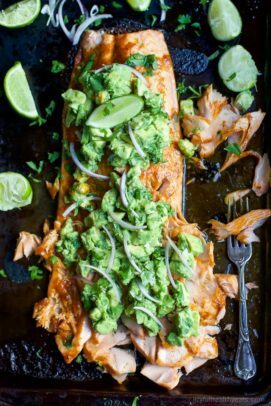 The Salmon itself is marinaded in an easy homemade teriyaki sauce for about 15-20 minutes and then seared in a pan. Super easy peasy. 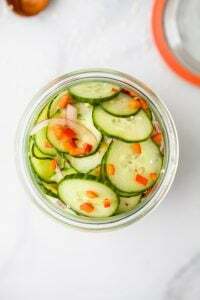 The noodle salad is loaded with crunchy veggies and tossed in my favorite asian sesame dressing. The trick to this dressing being so good is the sesame oil! It adds a slight nutty taste that is irresistible! 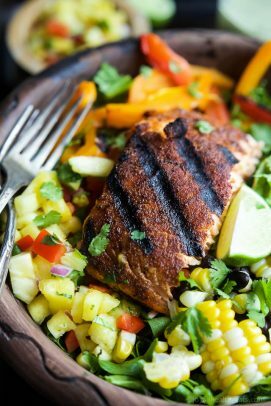 If you’re looking for a light, easy and refreshing recipe to make this weekend definitely give this Teriyaki Salmon a shot. I guarantee you’re gonna love it! There are so many flavors to keep your taste buds busy guessing what they are gonna taste next! Bon Appetit friends! Happy weekend-ing! To a small bowl add, 2 tablespoons honey, tamari sauce, 1 tablespoon lime juice, 1 tablespoon rice vinegar, 1 garlic clove, 1 teaspoon ginger, and garlic chili paste. Whisk together. 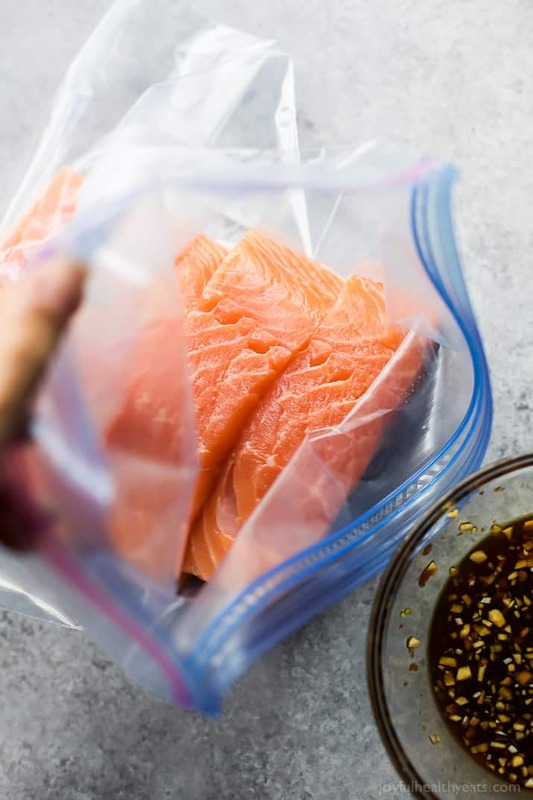 Add salmon filets to large ziplock bag. Pour the marinade mixture into the ziplock bag with the salmon. Close and place in the refrigerator for 15-20 minutes. 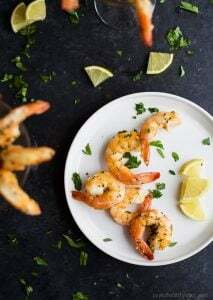 In a small bowl, add 4 1/2 tablespoons rice vinegar, 3 tablespoons sesame oil, 2 1/2 teaspoons honey, 1 teaspoon lime juice, 1 teaspoon sriracha, 1 garlic clove, and 1/2 teaspoon fresh ginger. Whisk together until combined. Set aside. Bring a large pot of water to a bowl. Add rice noodles in a cook for 1-2 minutes. Immediately remove. Drain with cold water. Add noodles to a large bowl with yellow pepper, red pepper, snap peas, cucumber, and green onions. Pour sesame dressing over the noodles. Gently toss until all the noodles are coated with the dressing. Set aside. Remove salmon from the refrigerator. Heat a large nonstick skillet to medium high heat. Add grape seed oil to pan. Add salmon to the pan flesh side down first. Sear for 4-5 minutes. Flip and cook with skin side down about 4-5 minutes. 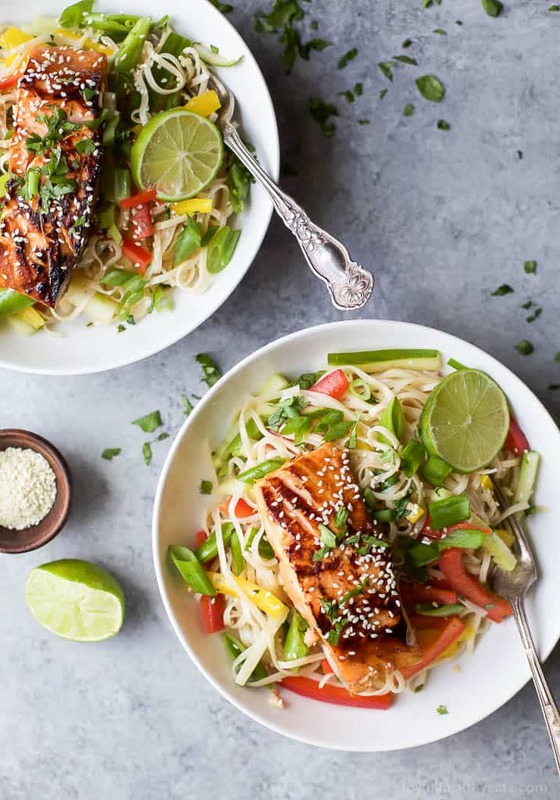 Serve salmon on a bed of asian noodle salad. Optional: garnish with sesame seeds. F YOU MAKE THIS RECIPE, BE SURE TO SNAP A PIC AND HASHTAG IT #JOYFULHEALTHYEATS. I LOVE SEEING WHAT YOU MAKE! 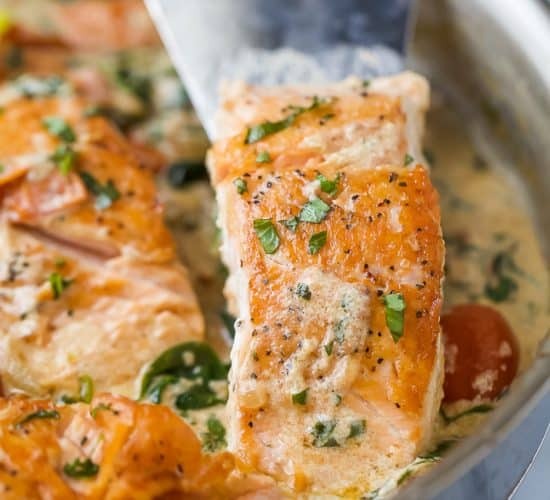 Want More Easy Salmon Recipes? Coincidentally, I had a discussion with a few friends last night about foods we love and foods we hate, even though they’re healthy and/or good for us. My major LOVE is salmon and I couldn’t get over how many people said they don’t like it. WHAT?! 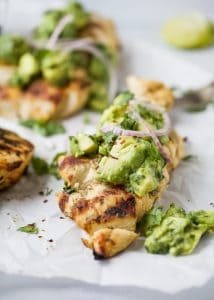 They need to see this recipe, and I can’t wait to make it! I love salmon, people are crazy! This looks amazing! So refreshing for hot summer nights! I was looking for a recipe to use up the salmon in my freezer. 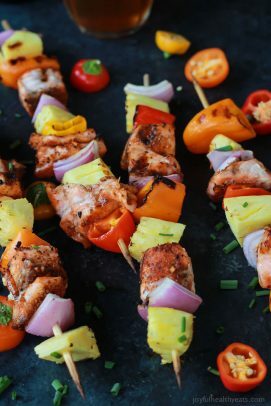 This looks light and delicious….perfect for summer! I love how the salad just compliments the salmon so well. You hit it out of the park! 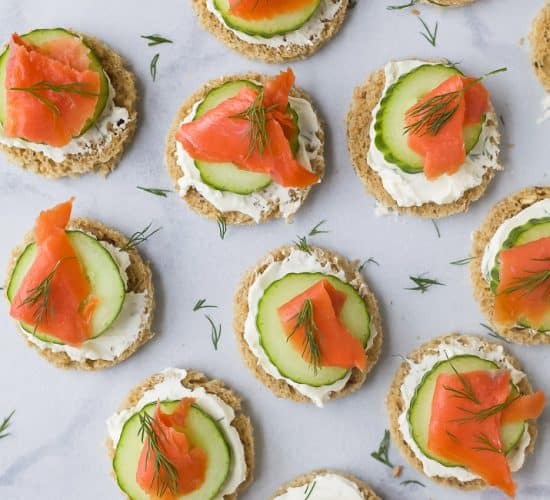 We love salmon. 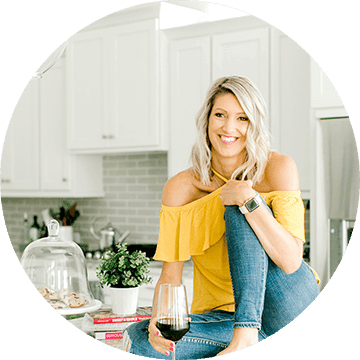 I am always looking for new and excited ways to cook it. Trying this ASAP! It’s definitely a must try Dorothy! I am loving everything about this!! 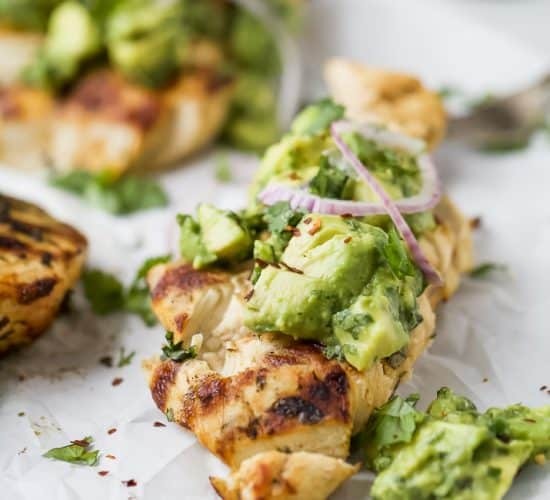 Healthy and full of amazing flavors!! You’ve got some fantastic flavors going on here. I love how light and colorful this is for summer! 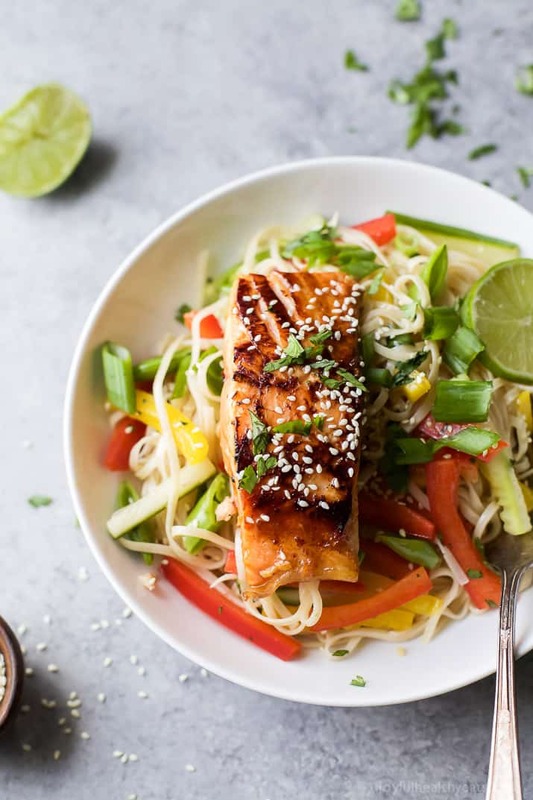 Teriyaki salmon sounds delicious! Love this dish! Rice noodles are my fav! 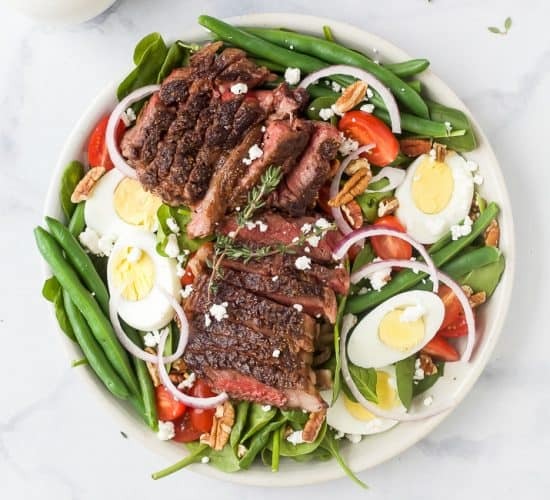 That dressing sounds fantastic!